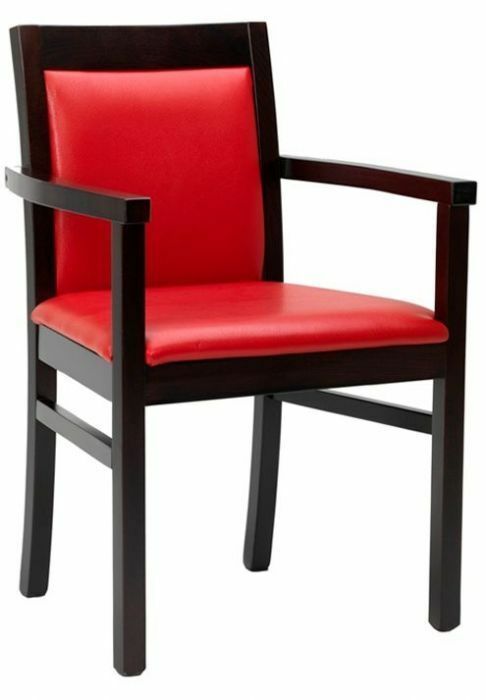 Robust and strong leather armchair available in a choice of colourful faux leathers. 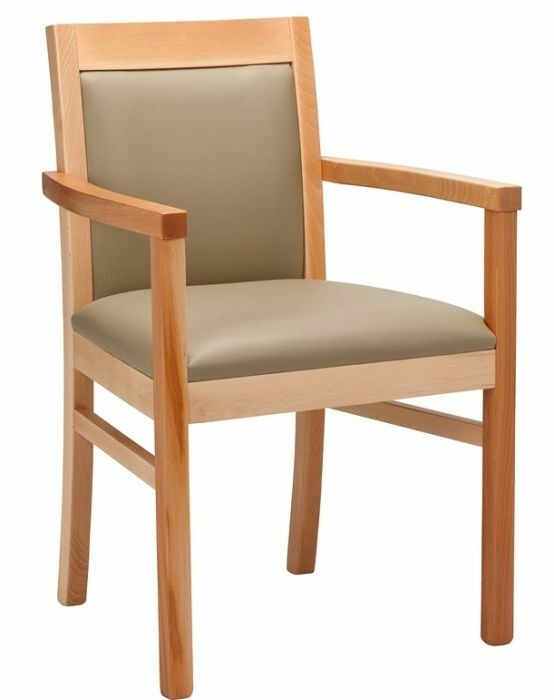 Solid wood frame in a choice of wood finishes. Normal lead time is 15-20 days and comes with a two year warranty. Classic style dining chair complete with an upholstered, cushioined seat and back for comfort. The chair has a solid wood construction.